Waterfall model is the traditional software process. It is a good choice for customers, whose project has clear scope of work, and the customers need to tightly control its budget and timeline. “Over budget” and “Over run” are not accepted at this kind of project. 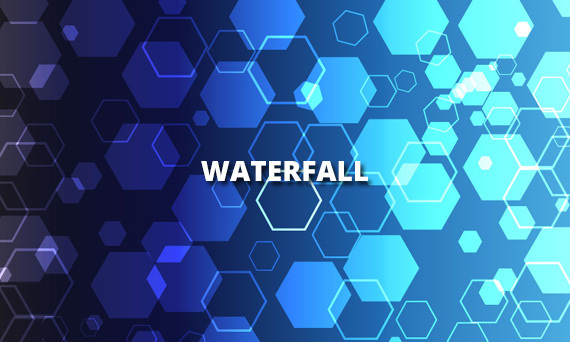 For these reasons, Waterfall model is still adopted by our customers, and by us. This type of development is often planned using a Gantt chart – we complete one phase before moving on to the next phase. In Waterfall approaches, we will rarely aim to re-visit a ‘phase’ once it’s completed. So when our clients provide us the request, we must get the clearly and fully request to analyze it and do right the first time! Different to SCRUM, the waterfall model is a sequential process, in which progress is seen as flowing steadily downwards (like a waterfall) through the phases of Conception, Initiation, Analysis, Design, Construction, Testing, Production/Implementation and Maintenance.